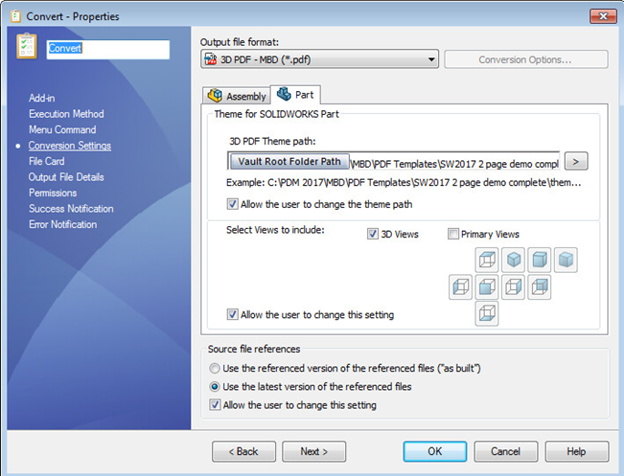 In the 2017 release of SOLIDWORKS PDM Professional and Standard, a new feature was added to allow users to replace previous versions of documents in the vault. When a user checks in a file, they can choose the “Overwrite Latest Version” option when checking in the file. Cut down on all the versions that get stored in the archive as users are checking in their files each day. 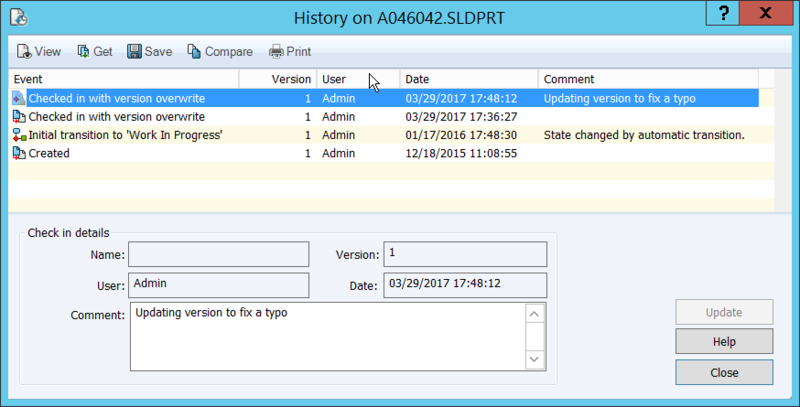 Give a power user the ability to fix a “non-critical” issue on a document without pushing the file through a state change or revision change. The version will be replaced and a note will be written into the history. Once the file is overwritten, there is no way to rollback. So be careful to not give this power to users who will abuse it. 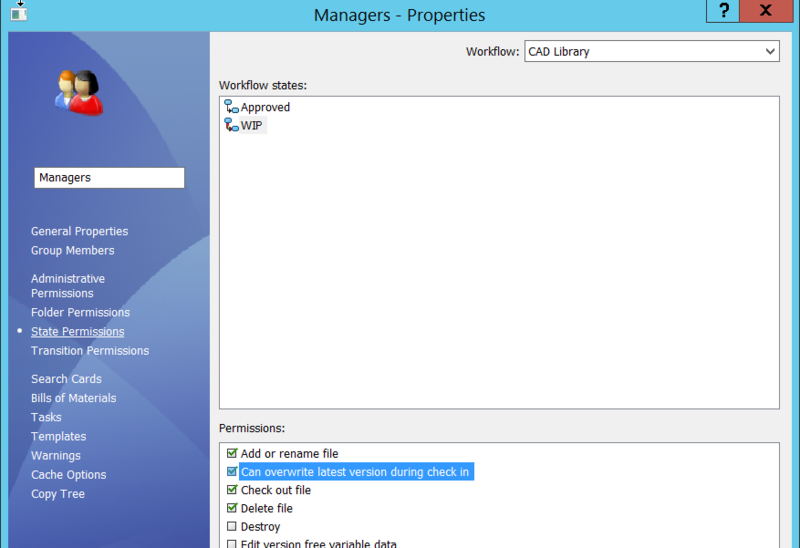 The good news…permission for overwrite is available at the folder and state level. As an administrator, you can set up your workflow to allow overwrite in the WIP state, but not in other (more critical) states. You could give users the rights to overwrite in your projects folders (where iterations are not as critical) and not allow the rights in your product folders. By default, this permission is not checked for the users when you upgrade to SOLIDWORKS PDM 2017. Try it out, but make sure to use this power wisely. For more information, reach out to us at InFlow Technology.